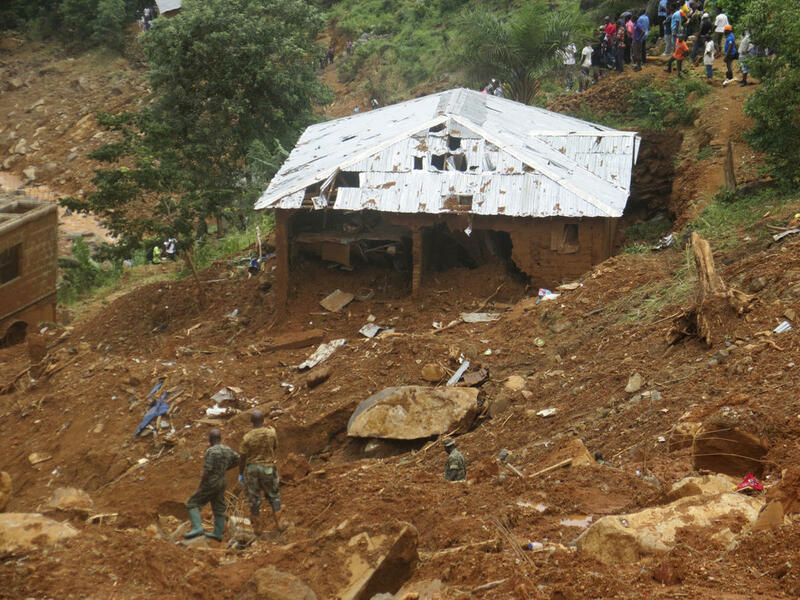 Seven Latter-day Saints are numbered among the hundreds who were killed in a massive mudslide in this West African nation. More than 330 people died in Monday’s disaster in a rain-soaked sector on the outskirts of the capital city. Almost five acres of hillside collapsed, covering homes in a community that stretched across more than nine acres, according to a CNN report. No missionaries were injured and all are accounted for, said Bruce Muir, the Church’s humanitarian response director. No Church properties were impacted by the mudslide. More than 3,000 people have been displaced by the recent disaster. Local Church leaders were still trying Thursday to access the impact on the homes and properties of LDS families. Almost 600 people were still missing. It’s unknown if any members are counted among that number. The Church is preparing to deliver relief to the area, which remains vulnerable to additional landslides thanks to ongoing rainfall. “Help is on the way,” said Muir, adding the Church is working with its partners in the humanitarian relief community to assess the situation and determine the best way to deliver aid.